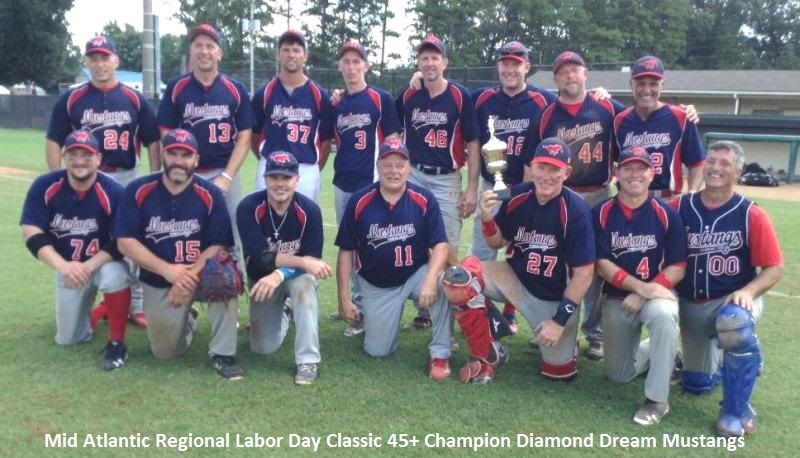 The Diamond Dream Mustangs won the 2018 45+ division of the Mid Atlantic Regional Labor Day Classic in Richmond, Virginia with a thrilling, extra inning 9-8 victory over the New Jersey Railriders. We were not only proud to win the tournament, but even more proud to support its cause. The tournament was a benefit tournament for the Mitchell Hash Foundation, which is a 503c charity to help raise awareness and prevention of suicide, especially among military veterans. 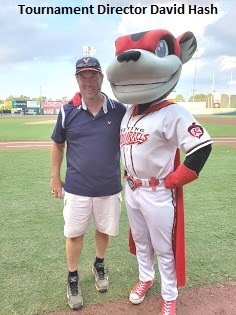 The tournament was organized and directed by Dave Hash, President of the Charlottesville MSBL League. 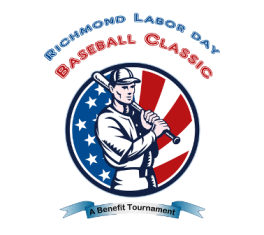 Besides the tournament fees as donations to the foundation, the umpires donated some of their services, as well as the local municipal governments waiving field fees. 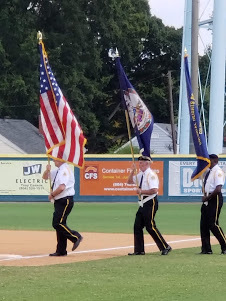 And, the impressive color guard of the Richmond American Legion parading out the colors at the championship game in support of the foundation’s causes, made this tournament more special than just winning ball games. There was not a dry eye in the stadium as we saluted our country’s flag in honor of all who have served. As for the games, they could not have been any more exciting and competitive. In the round robin, we had to play a shortened schedule and time constraints due to a deluge of rain that fell on us the first day of the weekend. The Mustangs tied the first game then had to suspend the second game when the rain came. That caused us to have to play back to back to back on Sunday, as we won our morning game. Then we had to complete our suspended game, which we again tied. “Iron Man” Mark Gleason pitched both of those games for us. We ended up being the second seed in our bracket, and had to face the first seed from the other bracket in the semi-finals, the multi time MSBL National Division Fall Classic champions, the East Coast Cardinals. What a slugfest it turned out to be as Steve Nix pitched a complete game win for the Mustangs as we defeated the EC Cardinals 12-8. But not without drama, as the lead changed hands several times in the game. Terry Lonjin started the championship game for us, with Joe Walsh behind the plate, as the on field heat index hit 113 degrees. Finally, after a see saw battle that went into extra innings and lasted almost five hours, the Mustangs won 9-8, with Christian Gardiner getting the save in the 11th inning. It would take another whole article to list all of the teammates and their accomplishments in the tournament. But, it is an honor to share that Terry Lonjin was the tournament MVP, as he both pitched and caught in all five games! I also need to mention that Danny Craig was named our team MVP, as he hit four clutch doubles over the weekend to lead the offense.